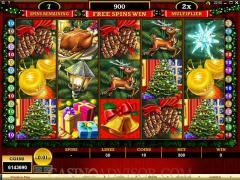 Deck The Halls is a slot game that comes from Microgaming, the world-wide leader in manufacturing and designing online casino software It is obviously a Christmas-related theme, with all the signs of mirth and merriment, which are reflective of the symbols used in the game. 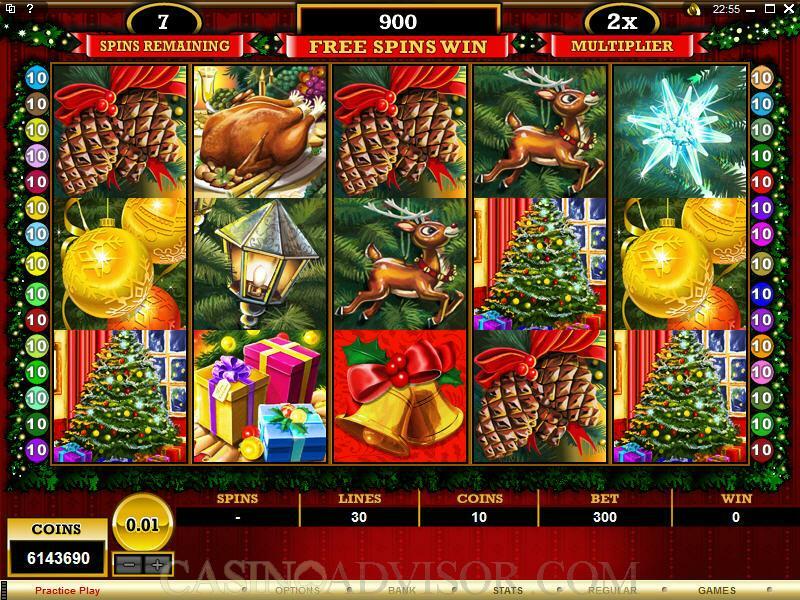 This is a five-reel game, with thirty paylines, and a maximum bet of 300 coins. There is a wild, a scatter and a bonus game. The maximum wager you can make on this game is 300 coins, which is affected by clicking the "Bet Max" button. There are only three increments of coin sizes, from .01 to .05. The number of coins bet and the number of paylines enabled can be easily adjusted and controlled at the very bottom of the interface. 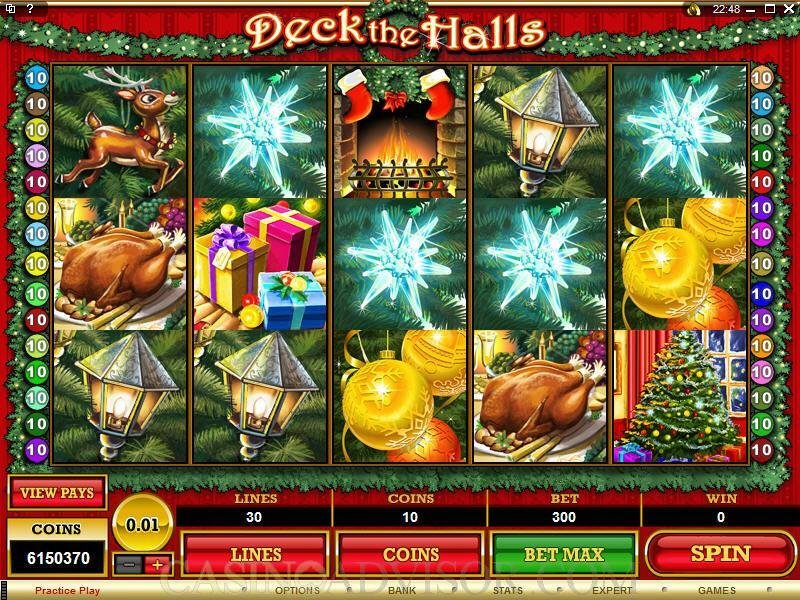 Interested in reading more detailed information about Deck the Halls? If so Click Here for more details.